SJC and SAT have no direct rail link. Last I checked there is no rail link at FLL....does ATL have rail link? Yes. MARTA goes right into the building housing Coucourse T. Very convenient for people heading to various business districts in Atlanta (Downtown/Midtown/Buckhead and even Perimeter Center all the way north; actually the only "larger" business districts that MARTA doesn't access is Cumberland Area, due to Cobb County not wanting to pay into the MARTA pot). Well, those places and College Park Stn. where IIRC most people working in ATL park their POV at (then ride 1 station into the Airport). It's fairly reliable, relatively frequent (6 mins/train during peak and 10 mins/train off peak, at least up to Buckhead area), cheap (USD2.5), and you don't have to deal with Atlanta traffic. Last edited by zakuivcustom on Mon Feb 11, 2019 5:02 pm, edited 2 times in total. ATL does. MARTA Red and Gold lines go to the Domestic Terminal. What am I missing. You are the third person to say that. I've taken a train from JFK to Jaimaca station, to my childhood home on LI. The OP is not wrong - you need to change train to most places (i.e. Midtown Manhattan or rest of LI) at Jamaica Station (or Howard Beach if you choose to go that way) (thus not "direct") via AirTrain (Which, as an Automated People Mover line, is not really a "real" rail link). It's better than having to ride a shuttle bus to the nearest station like LAX (or LTN), but definitely worse than airports like DCA or BOS (Both have Metro line Station next to the terminal), BWI (Commuter Rail Station), etc. So, what's the accurate version??? The logistics of building one aren't that hard...the Las Vegas taxi union, however, is. Light rail (a tram, but bigger - more frequent than trains) is due to be starting construction not much after 2021 but is currently facing an annoying information blackout. The ten year wait has already been dumped and came from a public transport averse government. As others have noted, DFW is connected directly by 2 rail lines (DART Orange Line to Dallas and TexRail to Fort Worth), as well as a 3rd rail line a short shuttle ride away (TRE Trinity Rail Express, the first link but redundant for most now). Since DFW is the only Texas airport with a rail link(s), all other Texas airports can be added to the list. IAH, HOU, AUS, and SAT all lack rail links and there don't seem to be any firm plans to connect these airports to rail. DEN has a commuter rail link directly into terminal. Once off the escalator, only about 50 feet to the TSA precheck line. PRG, BSL, BUD all have a fairly short bus connection to the end of the city metro system. NAP is a short bus ride to Centrale, and I think it is due to have a metro link soon. VCE is an expensive bus ride to either Mestre or S Lucia stations, or especially for the tourists an even more expensive boat connection (highly scenic). CTA, in Sicily, has the main railway line passing the end of the runway, but no station. TXL has a dedicated bus to the centre of Berlin at normal city transport rates - very economical. Of course at places like ARN there is an expensive direct express train, but you can avoid that by getting the local bus to Marsta station nearby and catching a suburban train. . Evading premium airport fares is becoming quite an art! Metro at IAD is currently schedule to open in Summer 2020, but the project is already years behind schedule. I would say it's safer to estimate late 2020 or early 2021 for passenger service. It's okay as far as "city service" is concerned. You can't however hop on a train in Chilliwack (West Coast Express for example) and ride to YVR. You also can't hop on VIA-RAIL from London, ON and go to Pearson. You have to change stations. This is so pedantic. The walk from your gate at ORD to the Blue Line stop is just as far, if not further. But no one ever complains it takes away from the rail connectivity. It may be doom for the NIMBYs in Everett, because Seattle/Puget light rail will be going to Paine Field (at the insistence of the city so it would serve Boeing workers). The peculiar thing about Sound Transit is that it will have one of the longest lines in the world, north Everett to south of Tacoma. Geeks have noted that it is not an optimal system, with only sparse east /west legs, but politically it is what was possible. That connection may force Paine to be the a large secondary airport for the Seattle area. Yes, FLL does have a "link", shuttle bus from terminal to TriRail. Just as BWI has a bus from terminal to MARTA/Amtrak station. Yes, those are mainline rail stations. 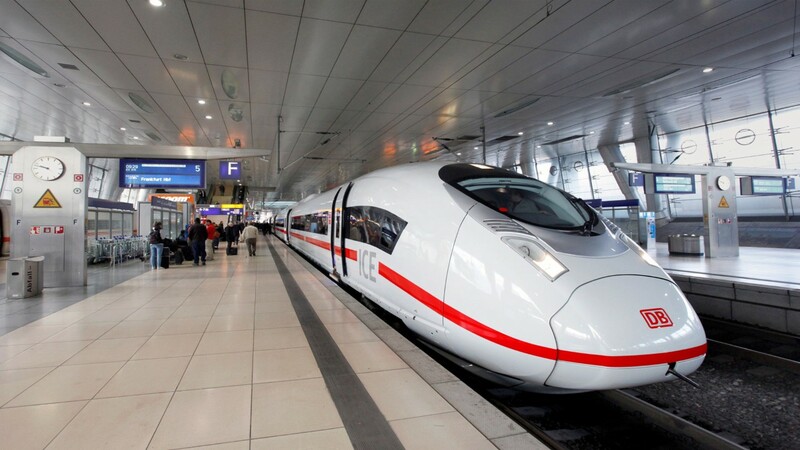 When most people talk about airports with train service, they're talking about transit - not long-distance trains. It's true you can't hop on VIA rail and get to Pearson. But why would you want to? If Canada had a rail network like Germany or the Netherlands, then sure - but Canada doesn't have that, so there's no point. Anyway, calling any other transit 'light rail' is wrong. I don't mean to be pedantic about terminology, but it's just wrong. Neither Vancouver's SkyTrain system nor the UP Express are 'light rail' systems, either in terms of the rail technology they use or the system planning (right of way, stop spacing, service characteristics, etc). BOS does not have a station next to the terminal. You can walk there but it's not a short walk. Most people take a shuttle bus to/from the terminal. SFO could be a lot better if the BART connection was better designed. Curious why you praise SEA and are critical of SFO... having lived in both cities, I greatly prefer SFO. Beyond the exposed walk to SEA's sound transit station (which isn't convenient to any of the terminals), my biggest complaint is the circuitous route to downtown. BART, conversely, is almost always the fastest way downtown, and I've never minded the (indoor) walk between terminals to get to the station (which is immediately adjacent to the United side of the international terminal). Are you referring to the fact that the turnstiles at the light rail stop are right at the garage, or that you have to walk across a 30' bridge to get from the garage to the terminal building? More backwards thinking from our region. What really needs to be done is to secure service on the tracks that run just north of the airport. I think this is one of those things that ridership will grow if it is convenient enough and it needs to run North to Pontiac just like Amtrak does from Chicago. But as many have said the population base that would use it don't have access to it. Even for the most part the Smart bus system is unusable. I also don't think the big three are really onboard with public transit either and that is another issue. If you read the user's posts and the airports referred to, it sounds like he (she?) is mostly a DL and perhaps WN flyer and thus probably has to deal with the AirTrain connection. I just walk to T3 or Int'l for UA, which makes a big difference in terms of perception. My complaint with BART is the opposite direction, connecting down to Millbrae. Yes, there's a SamTrans bus now, but it's a pretty poor excuse when there's literally a direct rail link that's used only a few days a week. As far as transit goes, SFO and SEA are in different categories because BART is a subway system and Seattle has light rail; and among LRT systems, Seattle's is among the most high-quality. Compare Seattle's light rail connection compared to others like BWI or DFW - it's far superior. In the future, it will also offer transit access to SEA from both the north and the south; avoiding a terminus at the airport is a big plus. That's 15/36 airports in the Americas (10 in the US), 4/6 in Middle East, 4/30 in Europe (including 1 in Turkey, soon 2 with the new IST), 13/43 in Asia, 2/4 in Oceania. This list excludes airports with a station connected to the terminaks by monorail/people mover (JFK,EWR,PHX...). It amazes me how the #1 O&D airport in the world doesn't have a direct rail link. That will of course change in 2023. BUD has a train stop. Not in the Terminal, but of a walk, but possible. The Canada Line is a totally grade-separated system. The Skytrain goes to most places anyone in the Metro Vancouver area needs to go. I know it’s expensive but in the days before the compass card it was pretty easy to just not pay the airport surcharge. I can’t really see the need to integrate the airport with the local Via Rail or Amtrak services. Now those are pathetic. People keep listing airports with perfectly adequate rail transit. BOS has the blue line, which is a short shuttle bus from the terminals, or the Silver Line (BRT) right from the terminal, mostly grade separated into Boston South Station. FLL has a train station, but does require a shuttle bus ride. And I can't figure what anyone has to complain about WRT JFK. It's a good system -- fast, can get to multiple choices, end up in a position to take LIRR or NYCTA. ISB, KHI, LHE, AUH, KWI, JED, RUH, MCT, CMB, AMM, and SLC. The FLL Master Plan has rail service coming direct into the airport, though it remains to be seen if/when that will occur. For now, it is linked to tri-rail, which also connects to the high-speed train. I have taken this on multiple occasions with ease. XIY - A metro line is under construction, and should be open by end of this year. XMN - New airport being built (Estimate Opening Date is 2020) with rail access. TAO - New Airport opening this year, with a Metro Line going into the new airport. LAX People Mover System is being built, so it should be off this list soon. BOM will get Mumbai Metro Line 3 into the airport proper, whenever that opens. MNL should get LRT-1 extension into the airport, although not sure how close it is to the terminals. Ultimately, that leaves a bunch of airports in US with no rail access. LAS is a headcase thanks to the taxi union (although monorail extension is relatively easy). I don't see any rail line for CLT, MCO, and IAH soon, though. I excluded any airports where one has to get on a bus to get to the train station first. So airports like FLL, DAL, BOS, LAX that have somewhat nearby train stations named for them are not included if you can't reasonably walk from the terminal to the station. However, I included airports with tram connections, like JFK, EWR, PHX. Hi - he/him for pronouns here. As I noted in another reply (and as you say) the reason BART to SFO is such a fiasco is because of the way the infrastructure dictates service planning. The politicians demanded BART to the terminal. Which is fine, but when an airport has multiple terminals, that's a much bigger challenge than it seems. They also wanted a Caltrain connection, and the design they picked appears on paper to meet all of these needs, but in practice fails most of them. For a station in the terminal, it's fine for the International terminal, but for others, you still will probably need to board the Airtrain. For service from the south, the wye makes connections to Millbrae very difficult. This is bad enough with Caltrain today, but will be even worse as Caltrain electrifies and becomes more like a rapid transit service - and even worse than that once CAHSR is running. The better solution would've been to either ditch the wye and terminate all BART trains at SFO, and then extend the Airtrain to Millbrae; Or extend BART to Millbrae and not SFO, and use the Airtrain for a connection. There are other issues, too - the missed BART/Caltrain connection at San Bruno is an obvious one; that wouldn't be so bad if the BART/Millbrae connection wasn't so bad, but it is. MSP has a great lightrail service, but only to downtown Minneapolis. There is no direct train service to downtown St Paul. You have to first take the Blue Line to Downtown Minneapolis and transfer to the Green Line to St Paul. MNL having no access to public transportation is one of the biggest misconceptions about the airport out there. The airport is served by four bus services (P2P bus to CRK, UBE Express, regular city buses and the Airport Loop service to the MRT), and the airport will be connected to the Metro Manila Subway when it's built. As to why metro lines to the airport weren't built, it's a confluence of factors. Remember that "Manila" to foreigners is really 17 different cities, all of which have their own interests to contend with. Plus the usual suspects: corruption, incompetence and lack of foresight being the top three. I know Charlotte has been considering extending their light rail to CLT for some time now. I'm willing to be it will get there in 15-20 years. New Istanbul Airport ISL does not have a rail connection yet. Yes, the airport is only partly open, but in about a month, most of the traffic will be shifted from Atatürk to ISL. The new metro M11 is still in construction, so it won't be ready by the time most of the traffic is in ISL. And the long distance train connection will even take a few more years. Yeah I live about 15 minutes from North Springs and almost always take MARTA to the airport. Convenient and even in good traffic I like it better than driving. Only thing I hate is if I have a late return - then it's kind of a pain waiting for the less frequent night service, and then waiting even longer to transfer at Lindbergh. Most of the airports without a heavy or light rail link being mentioned tend to be in the USA. Is this likely do with the historically car-centric nature of transport planning? Yes - the postwar boom of car-centric development means that public transit is in a sad state in this country. Doesn't help either that allegedly General Motors conspired to purchase and dismantle the streetcar systems that already existed. 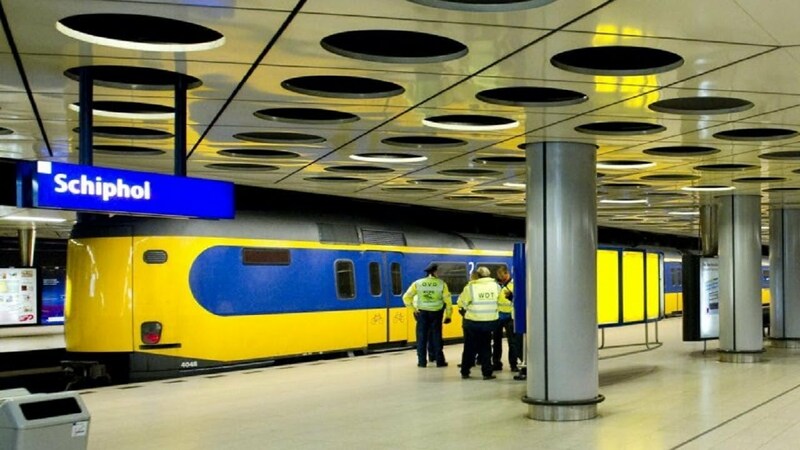 Light-rail connections are plainly being included in this topic, as many European airports have exclusively light-rail solutions as well. YYZ isn't even light rail, it's technically a train. So, YVR and YYZ clearly meet this, YUL will within a few years (if you want to get really technical, YUL has a VIA rail stop less than 1km away and VIA picks up passengers there/runs a shuttle to/from the terminal to transfer passengers to and from trains). YTZ has streetcars that leave you a few hundred metres from the ferry/underwater channel. Please read the thread title. We're nit picking here. Yes, one can interpret it how you want, but for me, even 50 meters is too far away to catch a train, when I have to show up to work, pull my luggage, flight bag and lunch bag in 2 feet of snow. It needs to be seamless integration. Canadian airports (and Canadian cities in general) are far behind their European counterparts, when it comes to transit. Calgary is the most frustrating example. The city decided to run the new C-Train expansion BY the airport... instead of through it. WHY???? Who's lobbying the city council? The Airport and Taxi companies with their exuberant high fees? It costs me $60 by cab to get from the airport to the SE of Calgary, when a C-Train is a matter of dollars. That's the type of "World Class - Olympic" city Calgary is? It's pathetic... enough said. EIN doesn't have a railway station at the airport. We have a bus going to the railway station. Several times there have been plans for a railway line to the airport but nothing ever came of it.